There are tectonic-sized transformations going on in healthcare. Daily media headlines include updates on healthcare policy, insurance, legislation, record-keeping, new treatments, new technologies and nationalized plans versus private plans. 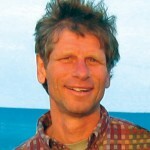 Rising healthcare costs are at the core of this commotion. Better service, for more people, at less cost per person is the elusive goal of much of this. Behind the headlines and news noise are dedicated individuals and groups quietly (or not so quietly) working for the same goal. They are the fundraisers for healthcare, working via philanthropy to improve healthcare technologies and services without additional cost to the public. Fundraising is not easy. It requires a breed of humans with persistence, dedication, charisma and a belief in an ideal. They translate that into an energy that moves others to join the cause and to donate. It demands a plan, a strategy and a team to implement the action. They know mountains can be moved with the right message. Creative communication is necessary at this stage to reach out and compel others to be involved and to give. BookWear® Healthcare Fundraising • Find A Distributor. 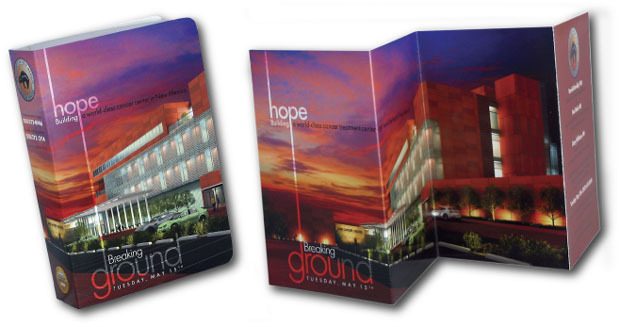 BookWear® is a creative and unique communications package that tells your story for healthcare fundraising. It looks like a little book. Your text/graphics/photographs are composed on the “book” cover. Inside is a compressed T-shirt or other gift with your logo printed on it. People remember surprises and your story is printed on a surprising package with BookWear®. Your message gets read and remembered, initially and every time the gift is used. Plus the recipient is advertising for you. BookWear® gives immediate and long-term sparkle to your story for healthcare fundraising, marketing, recruiting and PR. “A gift from us for helping make a difference in the health of our community.” is Milford Regional Healthcare Foundation’s title to their BookWear® package (see photo above). They also say “Thank You for Your Generosity” on the front cover. Their gift inside BookWear® was a first aid kit personalized with their logo. The theme to Sarasota Memorial Healthcare Foundation’s BookWear® fundraiser was “Join our Campaign, We’re Always Here.” Their text on the back goes on to say “Please accept the enclosed gift with the thanks of the many lives that will be saved or improved by your thoughtful contribution.” The theme of your BookWear® can be fundraising goals and activities, a mission statement, a description of your services to the community, an invitation to a fundraising event or a “Thank You” to donors and volunteers. “Hope. Building a world-class cancer center in the heart of New Mexico”, shown above, was a capital campaign by the University of New Mexico. The BookWear® package was sent out as an invitation to their ground breaking. They supplied us with the detailed insert shown above that gave information about their project, goals, artist’s renderings, and a map to their ground breaking. It started as a vision and the new center is now a reality. It is a landmark, an example of a fulfilled healthcare and college fundraising goal and a successful capital campaign. “The BookWear® Puzzles are absolutely beautiful…the colors are amazing!! You all did a fantastic job. So good in fact, that they are almost gone! How long does a re-order take? Thank you.” This was the University of New Mexico’s testimonial to BookWear® for the first order. We immediately did a second order. Additional materials, like the invitation to the ground-breaking by the U of NM Cancer Center (above), may be inserted into BookWear®. We insert them for free when they are supplied ready-to-go. Common inserts for healthcare fundraising are donor forms, return envelopes, invitations to a fundraising event, “Thank You” cards or a report of how funds were used. It’s a great way to personalize and add more content and effectiveness to your BookWear® fundraising package for healthcare. There are 24 gifts available to choose from inside BookWear® including compressed T-shirts, flash drives, mini-packs, first aid kits and puzzles. They are personalized with your graphics and are listed at our Products section on the website. The flash drive can be blank or preloaded with your mission statement, fundraising goals and activities. Your patrons/donors want to be informed and involved and BookWear® is a fun and effective way to include them. They are much more likely to be involved and contribute in the future if your communication engages them. Your message has immediate sparkle with BookWear® and then longevity with your personalized gift. You can mail BookWear® like a postcard. Or send us your fundraising address list and we’ll take care of the mail fulfillment (we charge for postage and a small handling fee). The back cover can be designed with your healthcare fundraising message, your return address, a postal indicia and a space for an outgoing address. It makes a fun and surprising package to receive, and delivers your message and gift. Your art department may design the “book” or we’ll do it for you. BookWear® has been in the graphic design and printing business for thirty-three years. We have a creative and talented team to help with your fundraising communications for healthcare. There are sample photographs on this page of healthcare fundraising campaigns using BookWear®. You can see more BookWear® fundraising covers at the Healthcare section of our Gallery pages. A good way to brainstorm for your own creative healthcare fundraising package using BookWear® is to look at these photos and more of the Gallery. 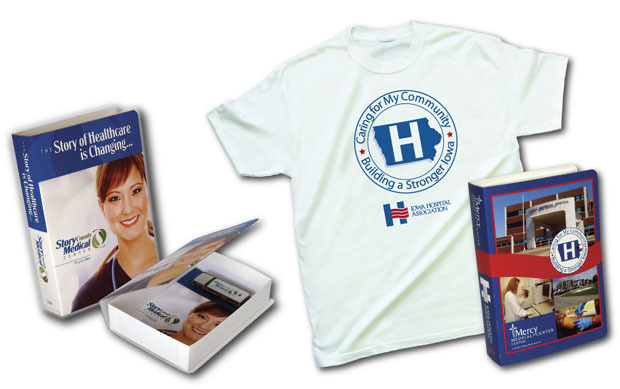 You can make your healthcare fundraising communication effective and memorable with BookWear®. In this time of major and rapid change for healthcare you need a communication medium that stands out from the crowd. BookWear® tells your story in a unique, fun and memorable way.